my life as a brownie. : reality. I need to apologize again to you all for my absence this past month. It seems as if my personal life has taken over! But I am back in business and wanting to discuss so much with you all. 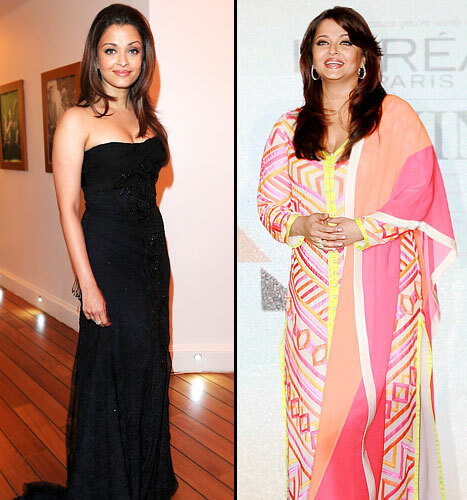 One of the hot topics this month is Aishwariya Rai and her weight gain. (It was one of the trending Facebook articles). Rai is a famous Bollywood actor who is 38 years old and just had a baby girl with Abhishek Bachchan (famous Bollywood actor). You can search more on her if you want on Google. The point of this post is the superficial life most celebrities think they have to live by. This being the fact that when a female celebrity has a child, it seems that it is their 'duty' to make sure they look super skinny right after the baby is born. I'm not a mother but I am certain that if/when I become one, my goal will not be to look super skinny but to be healthy and focus on my child and family. That is exactly what Rai did. The media has criticized her so much on her weight gain that it lost focus on what is REAL and what is not. There is so much emphasis on maintaining your body, making sure you don't gain any weight, looking a perfect 10/10 (whatever that means) on a regular basis. It continues to marginalize women and focus on what we lack than what we don't. Hence, why I am so happy to see a woman of such power present herself in a REALISTIC way to others. I am sure it has empowered many women out there to focus on themselves on the way they WANT to and not on the way other people want them too. In addition, I am glad she continued to work after her child was born, to show women the reality that gaining weight after having a child is ACCEPTABLE! Like come on! Is there an actual reason why we turn non-issues into issues? Is that all the media craves? Is that all people crave? US WEEKLY - Rai looks beautiful. Get over it people. I know! Aren't people insane sometimes? Like, seriously does a woman have to be size 0 right after she has a baby to be accepted in the media. That is not even humanly possible! Yay for Rai is right!